These colorful bites are perfect for summer. 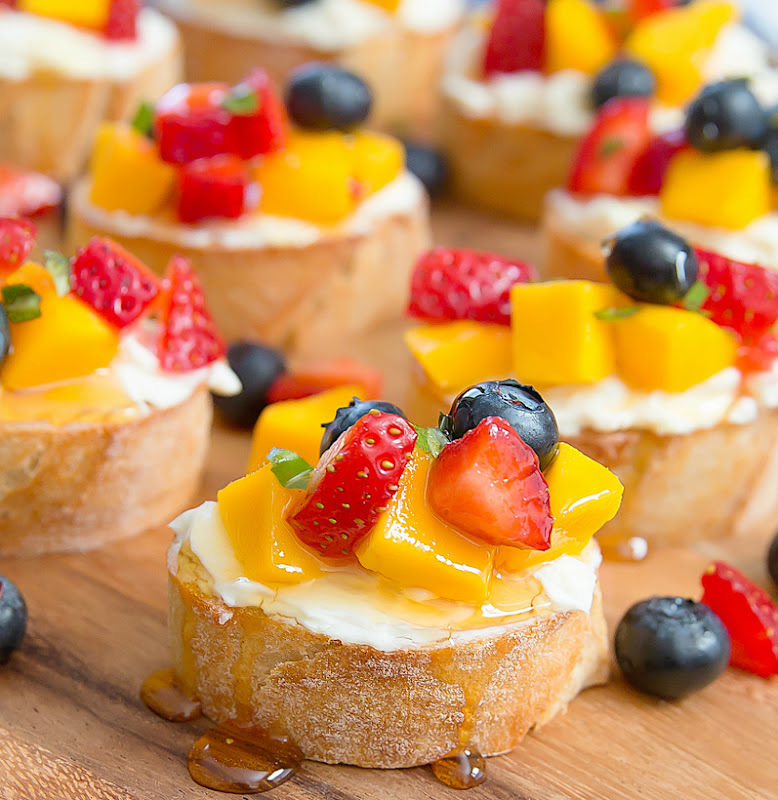 Crunchy baguette slices, lemon cheese spread, fresh sweet fruit and a drizzle of honey. 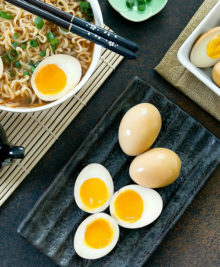 They are also very easy to make. 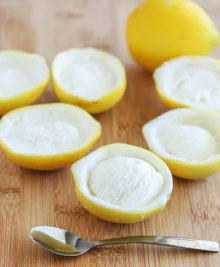 So easy, my husband made them all by himself! 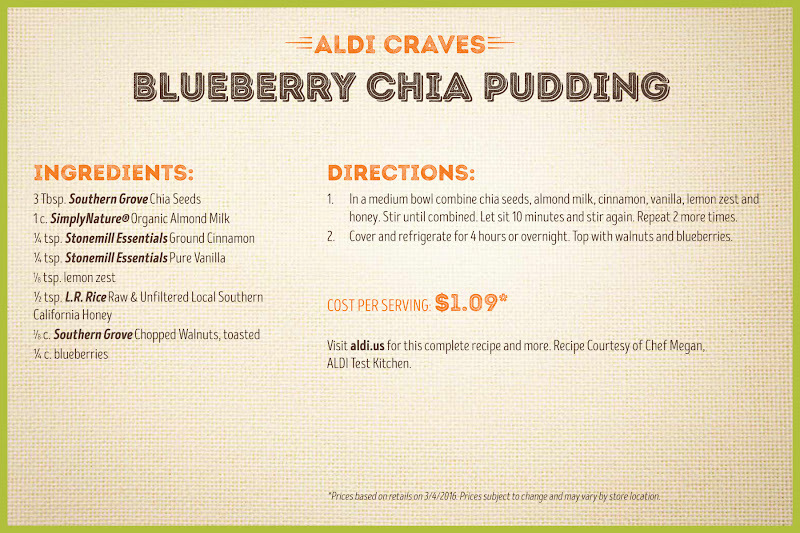 This recipe comes courtesy of the ALDI Test Kitchen. As you may recall, I previously posted about ALDI opening in Southern California. Since then, I’ve already been to the market three times! The San Diego location is actually a little farther out than I usually travel to for grocery store shopping, but the savings have made it worth the drive. 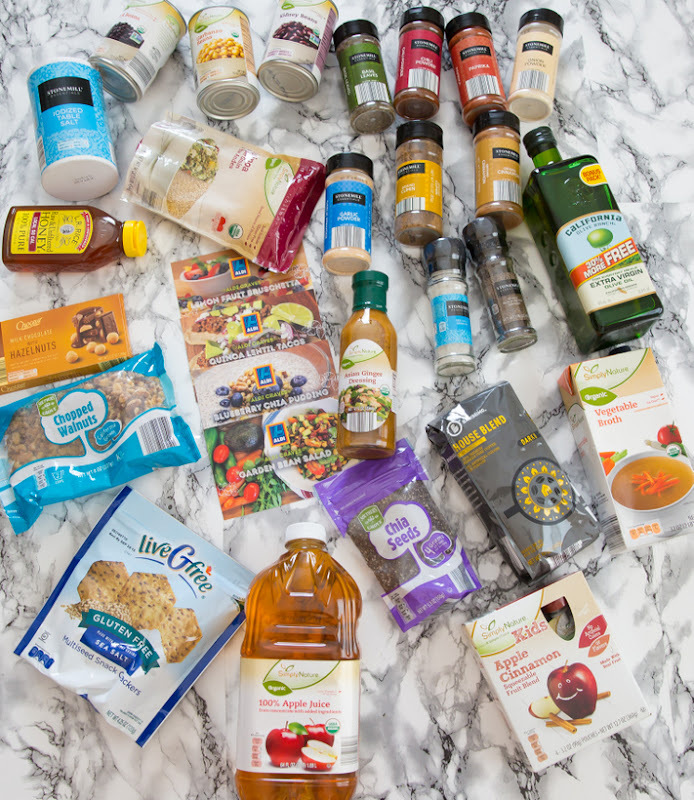 As I also mentioned in my last post, ALDI was kind enough to send me some of their products along with four recipes to try out. 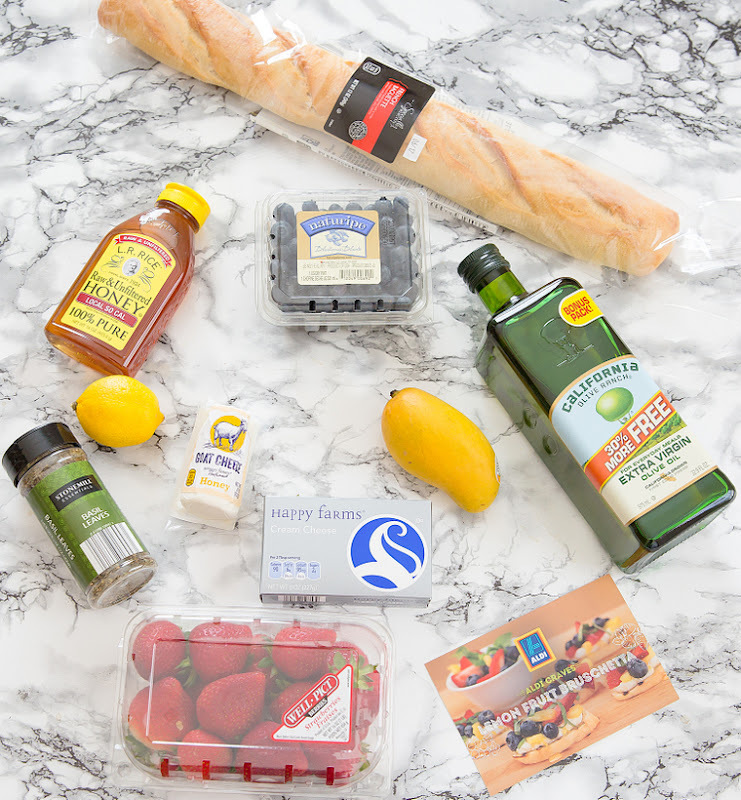 Their website is full of recipes that have been created and tested in their ALDI Test Kitchen. 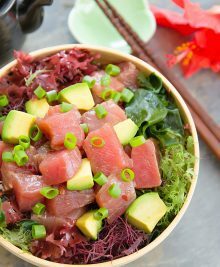 I had so much fun playing around with these ingredients. Of all the recipes, my favorite was the lemon fruit bruschetta. It’s just so colorful and summery. The recipe has some Happy Farms Preferred Plain Goat Cheese in it and usually I am not a fan of goat cheese, but I think it really worked here. Technically, I didn’t even make this recipe—my husband did almost all of the work with just a little supervision from me. Most of you know Mr. K is not very good in the kitchen, so if he can make these, I think anyone can. Another recipe Mr. K made almost entirely by himself was the Blueberry Chia Pudding. 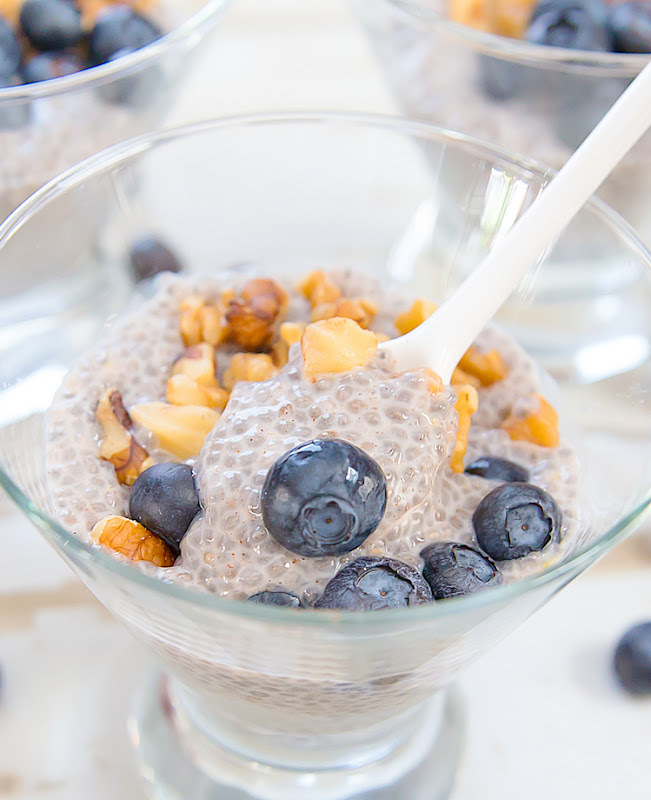 This was my first time working with chia seeds, though I’ve been wanting to cook with them for a while now. We were both really surprised at how easy this recipe comes together. You don’t need to cook or add any special ingredients to get the pudding to thicken up. You just stir some Southern Grove Chia Seeds with SimplyNature® Organic Almond Milk (along with some Stonemill Essentials Ground Cinnamon and L.R. Rice Raw & Unfiltered Local Southern California Honey for flavor) and let it sit for a few hours and it thickens up on its own. So fun! 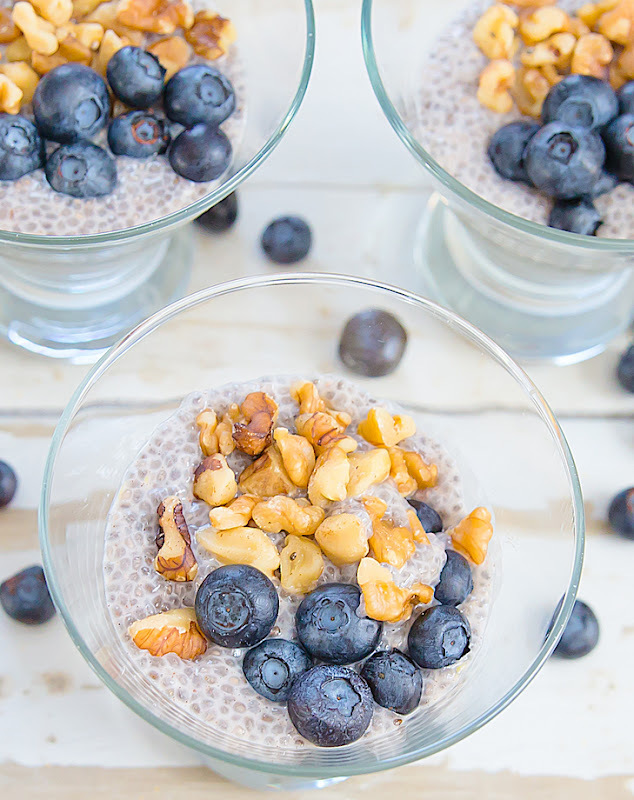 I need to make more chia pudding recipes soon. 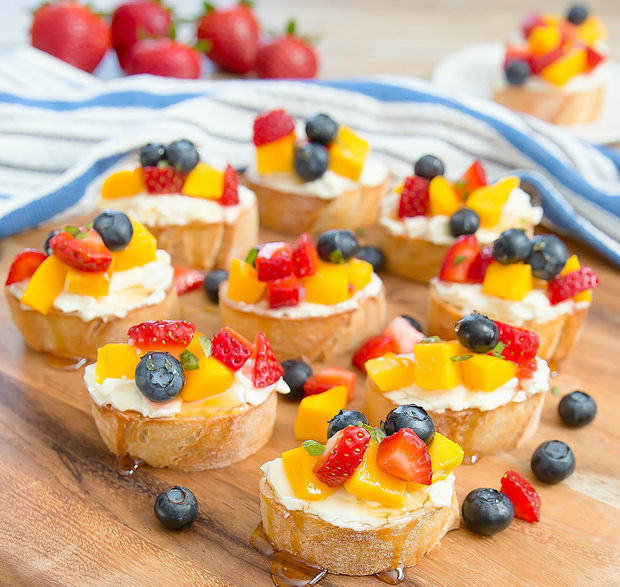 Back to these fruit bruschetta, you can use whatever fruit you feel like. I chose mangoes, blueberries, and strawberries. 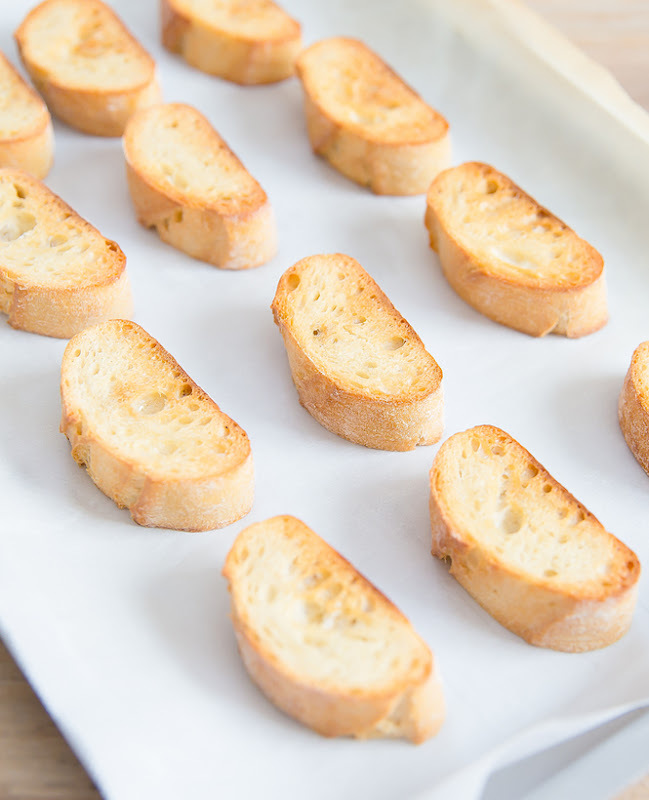 We did make one mistake—slicing our baguette too thick. We did 1-inch slices, but they should be ½ inch slices. It did make it a little hard to take a bite, so ½ inch would have worked out much better. Now that I know my husband can make these, I’m going to have him make them for our next party! 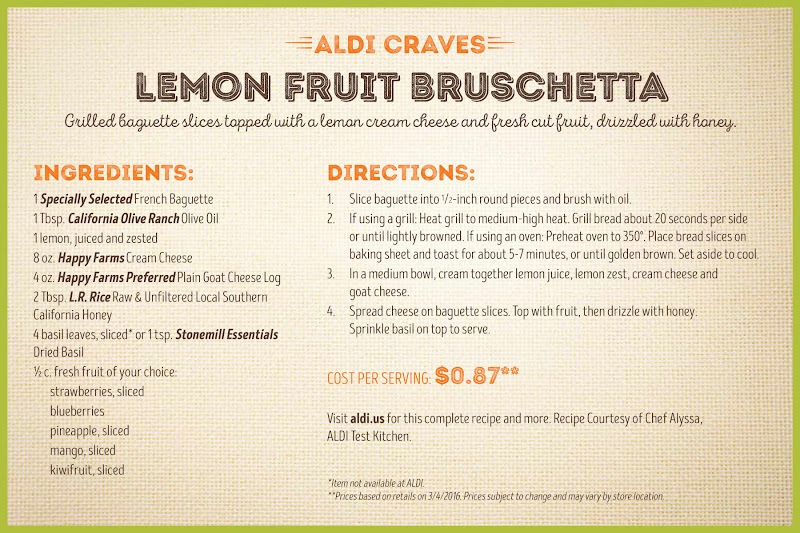 You can check out more ALDI recipes here. You can also follow them on Facebook, Twitter,Pinterest and Instagram. This post is written in partnership with ALDI. All text and opinions are my own.